Though I'm still a BB/CC cream or tinted moisturizer kind of gal when it comes to my everyday makeup look, it still doesn't stop me from buying any foundation that catches my eye or interest. One can't have too many anyway, right? Well, that's my excuse at least. One foundation recommended to me was by a sales assistant from MAC back in Tokyo. 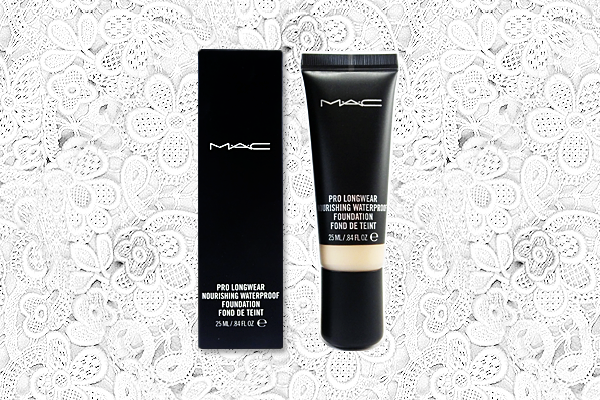 It's the MAC Pro Longwear Nourishing Waterproof Foundation (¥4,700). He told me this was his personal favorite foundation, so I decided to give it a try. I got this in the shade NC25. Unfortunately I think I've gotten a little paler since then as this is a bit too dark for me now. The undertone is still perfect as it's got a visible yellow undertone like my skin naturally does, but I may have to start considering a shade like NC20 the next time I pick up a MAC foundation. 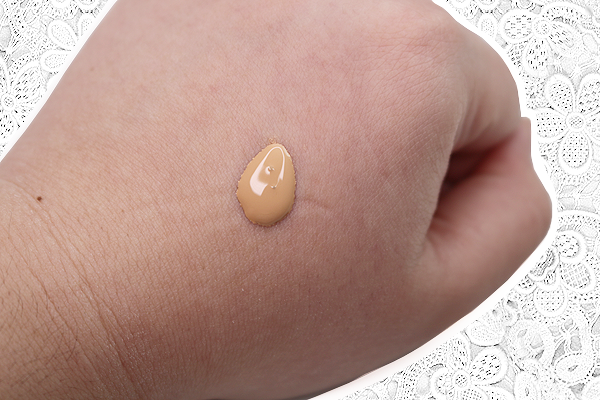 Coverage of this foundation is medium to full with a lightweight feel. 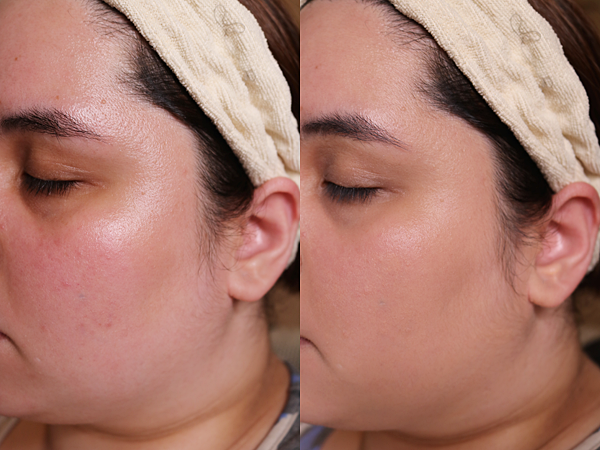 While it's easy to build it up to full coverage, it's still not particularly great at covering up visible redness. I find that when using this, I'll still need to neutralize any redness with a corrector and/or concealer. With that said, I don't agree with MAC's claim that you can use this as a 'concealer' unless the imperfections you're trying to cover are very minor. If you have dry or dry-combination skin like me, you'll need patience when applying this because usually when I start blending this in, all the dry patches start to show. I find that my face needs to be really smooth and buffed out before I can put this on so exfoliating properly beforehand is a must for me. If not, I risk it gathering around and emphasizing even the tiniest dry cracks or flakes. This is also one of those foundations that just looks better once it's settled onto skin and my natural oils come through. I guess I should have known from the product's description. It claims it's oil-free and repels moisture, and though I'm sure those factors are what makes its staying power so good (read more about that below), oils and moisture are my skin's best friends. Regarding the finish, it's definitely satin as MAC says. While I do always prefer a dewy glow, the finish is quite nice, especially if I set it with an equally lightweight powder like one from my Hourglass Ambient Lighting palette. As long as my skin doesn't look too matte, which it doesn't with this foundation, then I'm happy. The lasting power of this foundation is impressive. Without primer or a setting spray, it fades very minimally throughout the day. I once wore this for 6-7 hours (in an air-conditioned office) and it still looked almost freshly applied. Even when exposed to heat and humidity for more than a few hours, along with sweat and oil, it hangs in there without a problem. I can only imagine how much longer it might last if I used it in conjunction with both a good primer and setting spray. That's all thanks to its 'waterproof' claim, I think. After all, MAC did say this actually repels moisture so that includes the dreaded humidity and sweat I experience constantly. Now I haven't gone swimming with this or stood under the rain so I can't vouch for just how waterproof it is, but if that aspect is helping to extend its staying power, I'm already satisfied. I'm also unsure if this will actually last a full 24 hours but considering how well and how long it holds up from all the times I've worn it, there's a pretty good chance it can. In the end, it doesn't only continue to look good when I wear it throughout the day, it manages to maintain the coverage on my skin which I find the most important aspect of foundation. I have to say, I've gotten more than a few compliments with how my skin looks when wearing this and was told my makeup looked 'really nice' but also 'very natural and fresh' at the same time. Hey, I have to agree with them. Despite all the extra time and effort it takes to apply, I say it's worth it!